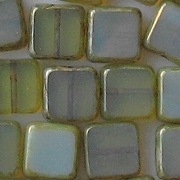 A mixture of translucent olive green and opaque pale aqua. These are certainly interesting beads. The olive green color is murky, like a swamp, and the aqua color is pale and washed out. I think the word "swamp" describes the color best. 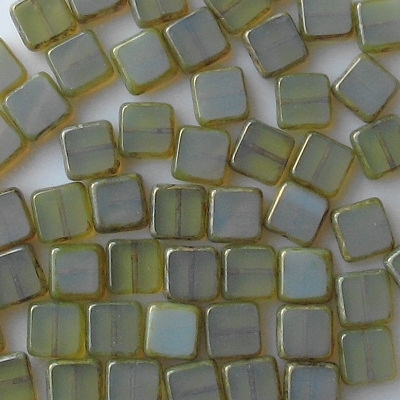 These beads are for jewelry designers who like sophisticated or moody colors. In bright light, the beads appear somewhat brighter. 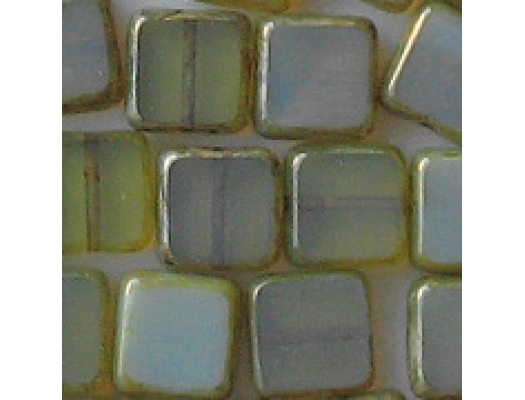 Please note that although I call them 10mm beads, they are actually 10.5 mm, so they appear a bit larger than the other 10mm polished squares on the site.